The Casa Bacardí visitor centre has launched Casa Bacardí Special Reserve Hand Bottled rum, as part of a project that will allow guests to fill their own bottles with a new extension of Bacardí rum. This new initiative aims to invoke the use of the five senses while visiting the distillery. In a bespoke space at the world’s largest premium rum facility located just outside of San Juan, Puerto Rico, there will be barrels of rum where visitors can partic ipate in the bottling process for their own hand-filled version of Bacardí rum. This marks the first time in the brand’s history where the public participates in the making of the final product. A similar experience is already offered at the Bacardi-owned Dewar's whisky distillery in Scotland. “This new offering positions the visitor centre experience to a higher level,” says William Ramos, senior brand ambassador, Casa Bacardí. The Bacardí rum available for filling in the bottles is the Casa Bacardí Special Reserve, created by Jose Gomez, Bacardí’s maestro de ron for 35 years whose goal was to develop a product that would “delight the palate of the most demanding critics”. For that, Gomez experimented with an additional phase in the aging process that helped the flavour transition from a woody finish to a more defined profile. Casa Bacardí Special Reserve is a combination of rums that have been aged in American oak casks in the warm tropical climate of the Caribbean, which promotes a very effective and complex aging process as rums in Puerto Rico ages develop three times faster than spirits aged in colder climates. This exclusive rum has been finished in Jerez Oloroso cask to accentuate some desirable notes in the product. Casa Bacardí Special Reserve has a sweet aroma dominated by notes of vanilla and butterscotch with a background of fruits and white oak and hints of almond and hazelnut. Its flavour is characterised by its complexity, also balanced with a silky texture for a completion of caramelized nuts. 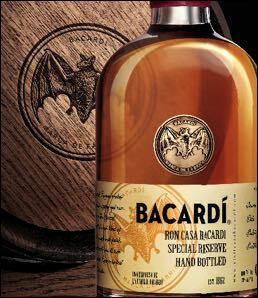 Casa Bacardí Special Reserve hand-bottled rum became officially available on August 3. The bottles will be available to visitors for US$150.00 each.